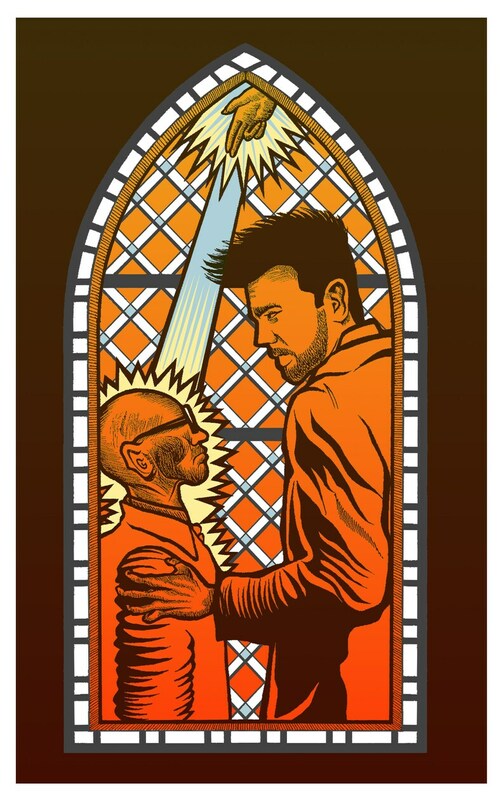 This is a limited edition, hand drawn 5-color, screen printed poster/art print that I was commissioned by AMC for the series PREACHER. This was based on a scene from an episode in the first season of the show. This poster is printed in a small, limited edition of 50. Prints are signed and numbered by the artist.